On Cinco de Mayo, millions of Snapchat users willingly turned their selfies into an ad for Taco Bell. The app’s augmented-reality camera filter, known on the service as a Lens, let them see their heads in the shape of a giant, wobbling hardshell taco, with lettuce and tomato poking out and the fast-food chain’s logo in the corner of the shot. In the one day it was available, the filter racked up about 224 million views. That’s the kind of creativity and result that Snapchat’s parent company, Snap Inc., is counting on, says Chief Executive Officer Evan Spiegel. On the company’s first quarterly earnings call since its March initial public offering, analysts expressed alarm that the growth of Snapchat’s audience, now about 166 million daily users, is slowing. Snap’s stock took a beating. On the May 10 call, Spiegel argued that his service allows people to be creative in ways they can’t on competing platforms. In the short term, at least. While Snapchat invented these kinds of playful AR Lenses, they’ve since been broadly copied by various Facebook Inc. properties. Spiegel will have to hope his latest weapon proves tougher to duplicate. On May 15, Snapchat began rolling out a slate of promotional Lenses that superimpose corporate logos, as well as silly tacos, on buildings, horizon lines, and other elements of a user’s photos and videos, not just faces. For the first time, Snap is also selling Lens ads for audiences smaller than its national deals. While a campaign like Taco Bell’s typically costs an advertiser $300,000 to $700,000, a national campaign for the more real-world-focused ads could go for 30 percent more, say people familiar with the matter. That’s one-fifth the price of a 30-second Super Bowl spot. One of the first new promotions lets users film a scene bordered with a doodle of a sun, clouds, and a flowery vine. In the corner is the title of "Everything, Everything," the teen romance movie coming from Warner Bros. Entertainment Inc. and MGM Studios Inc. on May 19. It’s a way to experiment with AR ads on a platform that draws young viewers who ignore TV, says Blair Rich, Warner Bros.’s president for worldwide marketing. “Everyone who works within this space knows that AR is a key component of the future,” Rich says. Snap is also using new geographic filters to add the names of local high schools to the "Everything, Everything" ads, she says. With other new Lenses, users can add movie characters to their environments, tap on cartoon clouds to make them vomit rainbows, or play games. Snap says it’s pairing the stars on its creative teams with the largest advertisers for these campaigns, including those of Netflix Inc. and Dunkin’ Donuts. It’s an involved, monthslong process, says Salvador Padron, senior director of marketing for PepsiCo Inc., whose Snap campaign is coming this summer. Still, Padron says, it’s worth doing something interactive to reach 18- to 24-year-olds. Snap says a third of Snapchat users play with Lenses and geofilters daily. 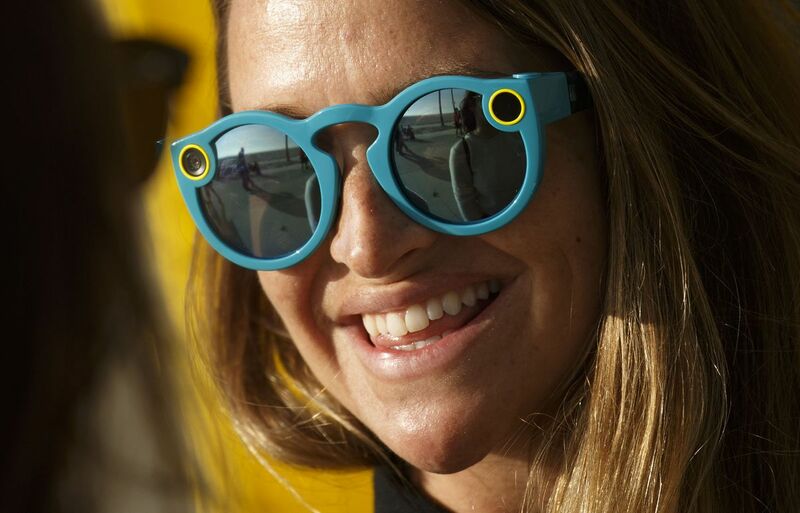 The bottom line: Snap is piloting ads built into pricey custom Lenses. It remains to be seen whether they’re effective or Facebook-proof.